Local Comic Shop Day®, the day celebrating the independent spirit of local comic book specialty shops, returns for its fourth annual event Saturday, November 17, 2018. Here is a list of Participating Stores. Each store is celebrating Local Comic Shop Day® differently, so plan to visit more than one store. Exclusive Items will be available. Not all items will be available at each store. Local Comic Shop Day® is a four-year old event conceived and implemented by ComicsPRO comic book specialty retailers to call attention to locally owned independent comic book specialty stores, celebrating their vital role in being the primary fire-starters of pop culture. Pop Culture begins in your Local Comic Shop! o Based on the original screenplay by Neuromancer’s William Gibson! If you’d like to buy this comic, it will be on sale at your participating Local Comic Shop on Local Comic Shop Day®, November 17, 2018. Deadline to sign up is September 14th. Local Comic Shop Day® calls attention to locally owned independent comic book specialty stores, celebrating their vital role in being the primary fire-starters of pop culture. Each comic shop will mark the Local Comic Shop Day® occasion in its own unique way. 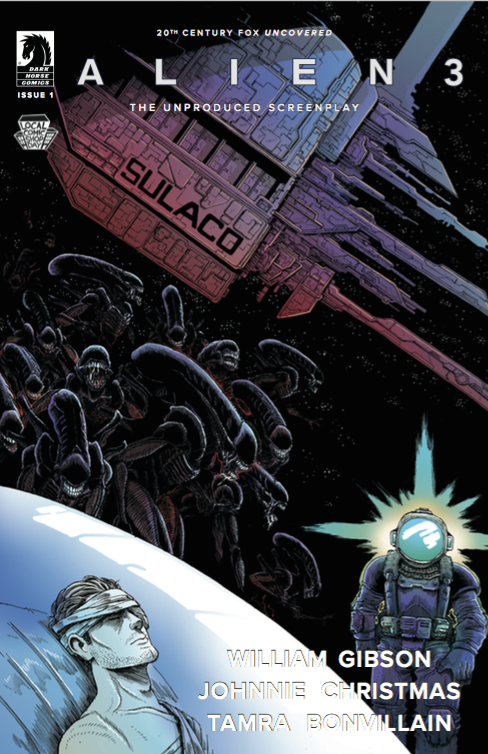 With exclusive, unique and limited items created just for the event on Saturday November 17, LCSD is a great time to pop into your Local Comic Shop to begin your holiday gift buying. Local Comic Shop Day®, the day celebrating the independent spirit of local comic book specialty shops, returns for its fourth annual event Saturday, November 17, 2018. Comics retailers are encouraged to register their participation now at www.comicspro.org/lcsd2018. Check out this cool slideshow that has all the items on sale for LOCAL COMIC SHOP DAY! Check out all the cool stuff coming out this SATURDAY, NOVEMBER 18TH.LOCAL COMIC SHOP DAY 2017. Here are the 21 items that are being released on Local Comic Shop Day® 2017! Not all items will be at all participating stores! You might want to visit multiple stores in your local area to get some limited and hard to find items. To celebrate the Justice League movie which comes out on November 17th, DC and Warner Brothers announced that November 18th – Local Comic Shop Day® – will also be Justice League Day! 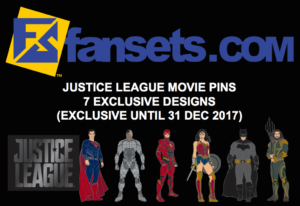 To celebrate the day, Fansets is offering Local Comic Shop Day® stores in the United States an exclusive sales window on their Justice League pins. (Until December 31, 2017). So the only place to get these pins during the 2017 holiday season will be at participating Local Comic Shop Day® retailers! Many participating Local Comic Shop Day® stores will also have free Justice League temporary tatoos and comic books to hand out. New LCSD item! 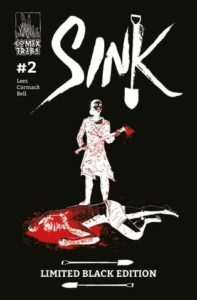 ComixTribe BLACK BAG includes sold out Sink #1 and #2. 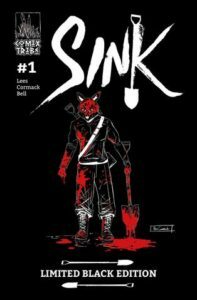 Two weeks ago, Sink #1 sold out at comic book stores wordwide. 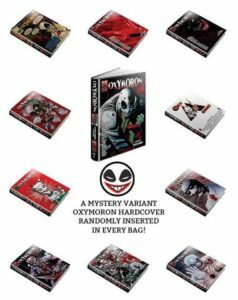 For Local Comic Shop Day®, ComixTribe is offering a BLACK BAG special which includes LIMITED EDITION variants of the first two issues as well as one of eleven inserted mystery OXYMORON Volume 1 Hardcovers, each a rare limited edition print run. 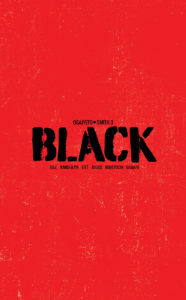 SRP of a black bag is $29.99. Only 900 units made. Here’s an article about Sink #1 from Wonder Alliance.com. Killer clowns in a blue van, shovel-wielding vigilantes, and the last bus you’d ever want to ride… You must be in Sinkhill. A forgotten East End district of a warped funhouse mirror vision of Glasgow, Scotland, Sinkhill is a hive of crooks, deviants and killers, and ordinary folk unfortunate enough to live among them. SINK is a vicious new crime series from the creative team behind OXYMORON: THE LOVELIEST NIGHTMARE. 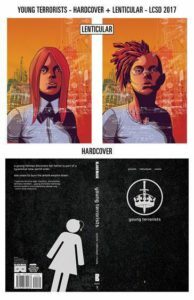 Black Mask to offer three EXCLUSIVE hardcovers for LCSD and bandana! Plus possible lenticular action! 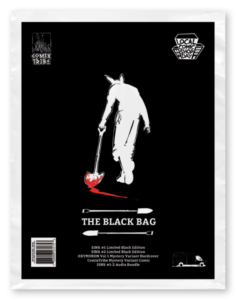 Black Mask is offering three EXCLUSIVE HARDCOVERS for Local Comic Shop Day®! And a Calexit Bandana! 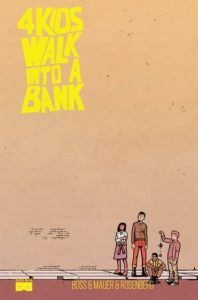 4 KIDS WALK INTO A BANK is the darkly comedic story of four burgeoning child criminals and their elaborate plans.When a group of bumbling criminals show up in her father’s life looking to pull one last job, young Paige has two choices – let her father get caught up in their criminal hijinks or enlist her three best friends to do the job first. Paige picks the bad one. 208 pages. 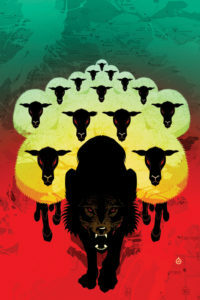 Collects the 5-issue mini-series. 160 pages. 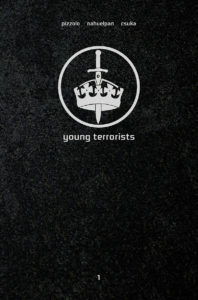 Collects the 6-issue mini-series. * Participating Stores may possibly receive an Exclusive Lenticular Cover Card that customers can affix for a DIY lenticular cover or keep as a sticker. Details being worked out. A young heiress discovers her father is part of a tyrannical new world orders, and she vows to burn his whole empire down. 224 pages. Collects parts 1 and 2 with the FCBD special. 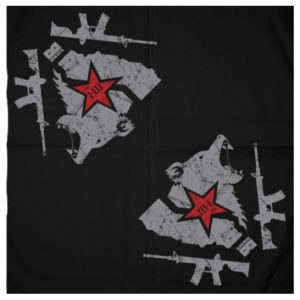 Join the resistance with this black bandana inspired by the flag of the Mulholland Resistance, Zora’s band of black masked revolutionaries in CALEXIT! Following up on the first two Rick and Morty Local Comic Shop Day® Treasury Editions (2015, 2016), Oni once again offers the fan-favorite Rick and Morty Local Comic Shop Day Treasury Edition in 2017! 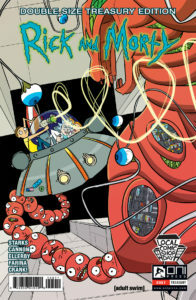 Dan Harmon and Justin Roiland’s hilarious hit Adult Swim animated show RICK AND MORTY has its own comic book series from Oni Press! Join degenerate superscientist Rick Sanchez as he embarks on all-new adventures with his awkward grandson Morty, his teenage granddaughter Summer, his veterinary surgeon daughter Beth, and his hapless son-in-law Jerry.